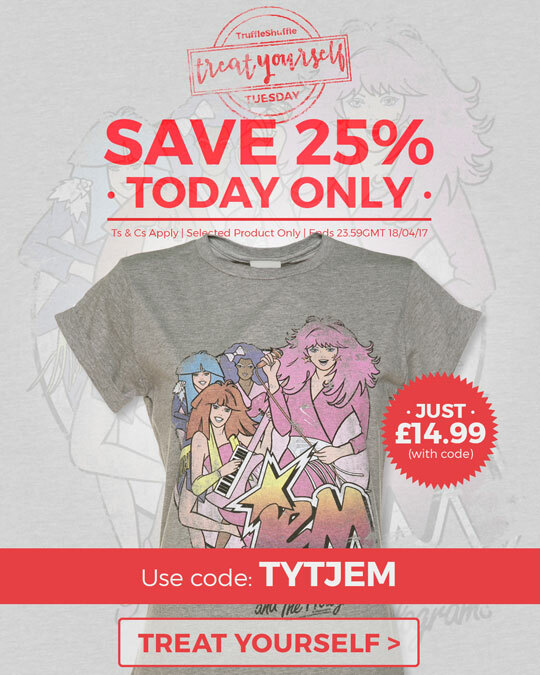 #TYT – Save 25% on Jem And The Holograms Band T-Shirt – TODAY ONLY! – Code valid on selected product(s) only. – Code(s) valid until 23.59 GMT, 18/04/17. – Code(s) must be entered at basket to qualify. – Cannot be used in conjunction with any other offers. – Code is valid for telephone and mobile orders too.